Nice apartment furnished in modern style 3 min. from the sea. 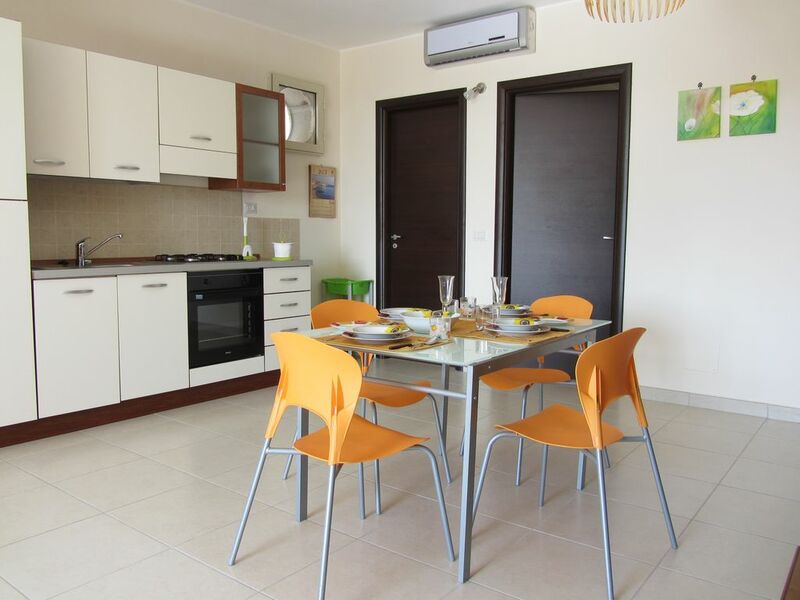 Just 1.5 km from Avola Beach and a 5-minute walk from the historic center, Casa Delizia offers a modern-style apartment for n. 4 people plus 2 extra. It has 1 double bedroom, 1 double sofa bed and 1 bed with two single beds in the living room, equipped with a fully equipped kitchen, bathroom with shower, bed linen and towels, washing machine, TV, air conditioning and free private parking. The apartment is located on the first floor, accessible by a lift. Located in a strategic area near the most beautiful cities of Eastern Sicily: Noto, Palazzolo Acreide, Siracusa, Ragusa; And the nature reserves of Vendicari, Calamosche, Marzamemi, Cava Grande del Cassibile, which are just a few km away. Hallway with laundry, washing machine, iron and ironing board.